The Republics of Estonia, Latvia, and Lithuania all achieved their independence after the crisis in Russia resulting from the unexpected abdication of Czar Nicholas II on the 15th March 1917. These states were effectively part of the Russian Empire, but movements supporting independence from Russia had existed in each state for many years beforehand. With the fall of the transitional republican government of Alexander Kerensky in October 1917 and the rise of the Bolsheviks during the Great October Socialist Revolution, the desire to form independent governments became more acute. Estonia moved to declare their autonomy through their provisional parliament as early as the 12th April 1917. A formal declaration of independence was announced on the 24th February 1918 and is today celebrated as the country’s official national holiday. Latvia followed suit and declared their formal independence from the successors of Imperial Russia on the 18th November 1918. Lithuania’s history was slightly different. An independent kingdom since 1253 with the coronation of Mindaugas (1203–1263), and later a grand duchy, Lithuania was also at the forefront of a greater commonwealth, which included Poland, from 1569. Much of the territory of Lithuania became part of the Russian Empire after successive wars between 1772 and 1795. After the fall of the Russian provisional government in 1917, Lithuania’s own provisional parliament announced their independence on the 16th February 1918, essentially proclaiming the restoration of their independent state. For all three of the Baltic states, independence would be short lived, lasting only two decades before occupation by both the Third Reich in 1940 and reoccupation by the Soviet Union during the Second World War. The countries of Estonia, Latvia, and Lithuania were all forcibly incorporated into the Soviet Union as the 13th, 14th, and 15th republics in the USSR in 1944. This forced incorporation was never internationally recognised, especially by the United States, the United Nations, and much of Europe. It would be nearly another fifty years until the re-establishment of independence for all three Baltic states would be achieved—and only after the fall of the Soviet Union, which occurred in 1991. 25 years after regaining their freedom and independence all three Baltic states are developing fast and changes in every aspect of economical and social life have been taking place during past years. The travel industry as other fields of economy has seen remarkable improvements since independence. 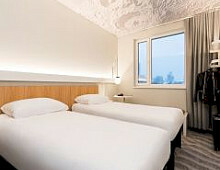 New comfortable hotels, cosy and nice restaurants, friendly and qualified guides and attentive service, all at very affordable prices, are there for an increasing number of visitors. Via Hansa is celebrating the centennial anniversary of the independence of the three Baltic countries by opening a new 4-star concept hotel in the center of Tallinn in August 2017, the Centennial Hotel Tallinn. The unique hotel is reflecting the history of Estonia for the last 100 years and is a testament to what Estonia and the Baltic countries have become today 25 years after regaining freedom and independence in 1991. We invite you to join the centennial celebrations in Estonia, Latvia and Lithuania and visit these beautiful countries to explore some of the last hidden treasures of Europe! Via Hansa recently celebrated its 25th anniversary throwing a grand party in Riga. 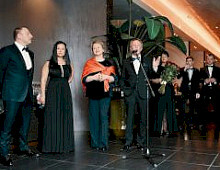 The invited guests enjoyed a festive reception and a special ballet performance, Juris Karlsson’s ANTONIJA#SILMACI, at the Latvian National Opera and Ballet, after which the party continued at Rooftop Restaurant & Bar Stage 22 at the Grand Hotel Kempinski Riga.